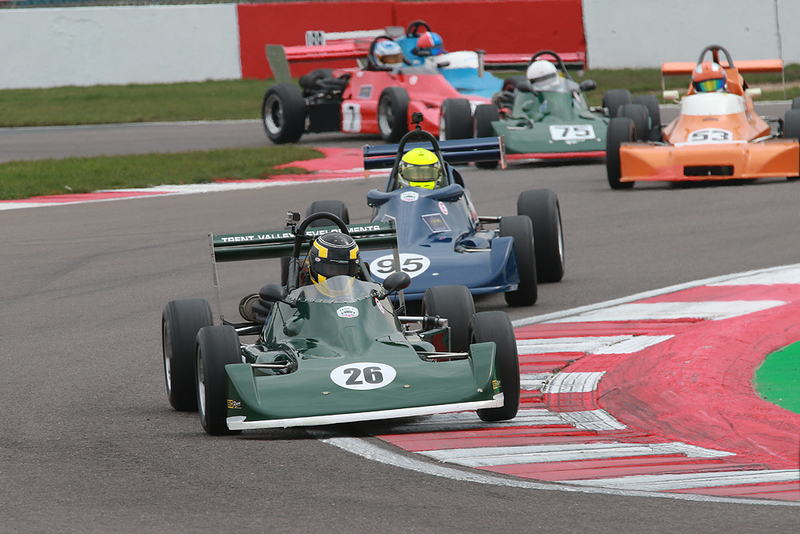 The HSCC Historic Formula Ford 2000 Championship is open to genuine Formula Ford 2000 racing cars originally built and raced between 1/1/75 and 31/12/81. There is also an invitation classes open to Air Cooled Formula Super Vee cars built prior to 1/1/78. Class A: Formula Ford 2000 cars built between 1/1/79 and 31/12/81 but excluding the Van Diemen RF81 and RF82 and the Reynard 82SF. Class B: Formula Ford 2000 cars built before 1/1/79, but excluding Reynard and Delta cars built in this period, which are eligible for Class A. Class C: Invitation class for Air Cooled Formula Super Vee cars built before 1/1/1978. Class C cars are not eligible for championship points. Class D: Invitation class for single seater racing cars which are, at the absolute discretion of the Championship Committee, considered to be compatible in performance, appearance and presentation with the Formula Ford 2000 cars around which the championship is primarily based. Class D cars are not eligible for championship points.